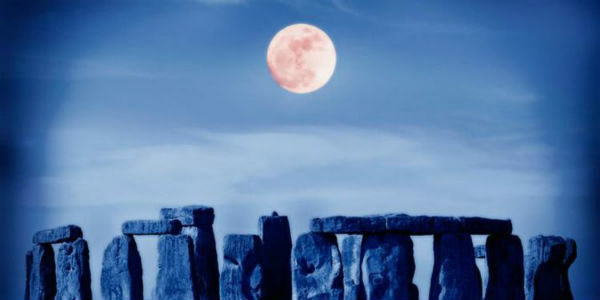 This supermoon will hit its peak at 9:43 p.m. Wednesday, nearly four hours after the spring equinox officially hits. A supermoon occurs when the moon appears larger and brighter owing to its closest approach to Earth. And when the full moon coincides with perigee, you've got a supermoon. It may be the last equinox supermoon for 2019, but the best one. Nicknamed the Full Worm Moon, the lunar show will close out the year's celestial trifecta - which kicked off with the super blood moon eclipse in January and continued with the super snow moon in February. March equinox marks the beginning of spring for the northern hemisphere. During this process, the sun is shining directly over the earth's equator, bathing the earth's northern and southern hemispheres in almost an equal amount of sunlight. Spring equinox doesn't always land on March 20, but it will always hold the same meaning: a brand new season. An equinox is commonly considered to be the moment the Earth's equator passes directly through the centre of the sun, lining up in unison as the world gradually turns. The Spring equinox - sometimes referred to as the vernal equinox - occurs around March 20 each year, while the Autumn equinox is around September 22. If you start to imagine the moon is bigger and brighter than it normally is on Wednesday, you're not insane. During the equinox, the sun crosses the plane of the Earth's equator, making night and day all over the Earth of equal length. The final supermoon of the year is coming this week and it's happening just a short time after the official start of spring. The date of the equinox changes from year to year to account for the fact that the Earth doesn't take exactly 365 days to make a complete revolution around the sun. Because of the time differences involved, the equinox will occur at 8.58am Sydney time (Thursday, March 21).